You are here: Home / WordPress Tutorial For Beginners / How do I change the look of my blog listing pages? We’re using the Twenty Sixteen theme for these tutorials. In this theme, if you add featured images to your posts, they are always displayed on your blog listings pages. The full content of that post. 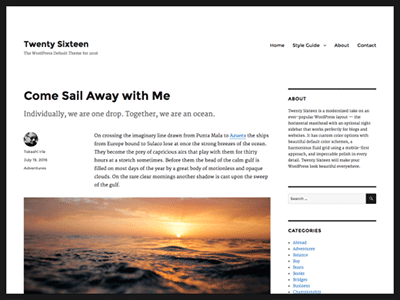 The normal way for the WordPress blog page to display is to show the full content of every post. These posts are stacked one above another. As you scroll down the blog page you see the next complete post, and then the next. If you click the title of any blog post, you see that post on it’s own, without all of the other posts. Using the More Tag you can make your blog page listings show a trimmed down version of each post. So instead of showing each complete post stacked one ontop of another, you see a condensed version of each post. You can then click a link to read the full post, if you want to. Each post is listed one above the other. But each post’s content is cut off at the more tag. To see the rest of the post you click the Continue Reading link. The post content up to the point you added the More Tag. A link that says Continue Reading. To use the the More Tag, just place your cursor in your post at the point you want to cut that post, then press the More Tag button in the toolbar. This makes your blog post listings easier to scroll through and scan for post tiles you are interested in. When you find an interesting blog post you can click the “Continue Reading” link to view that post in it’s entirety. In the Twenty Sixteen theme, if you’ve added a featured image to your post. The featured image will always display in your blog listings page. Even if you place the More Tag at the very top of your post. 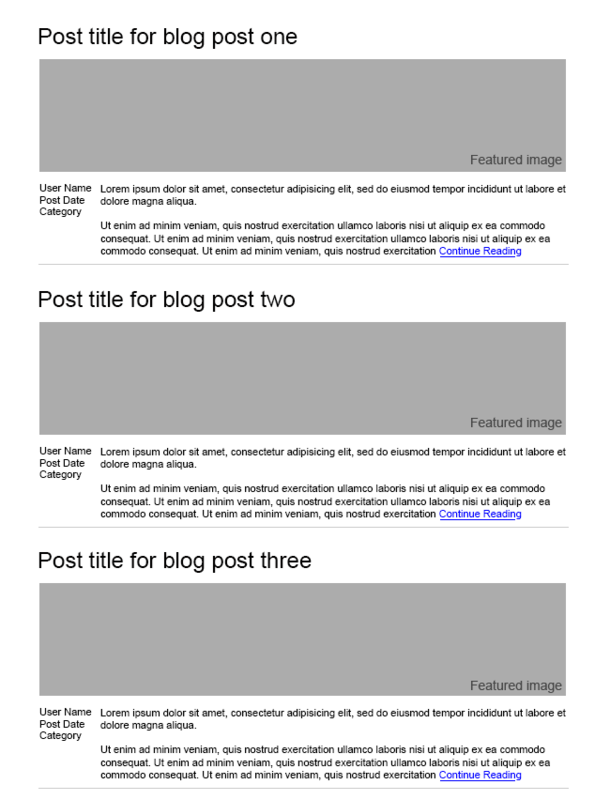 Use these suggestions to control how your blog posts and the blog listing page look. Add an Excerpt and Featured image to your post. But place the More Tag at the very top of each post. Do not include an Excerpt or Featured Image. Place the More Tag after the first paragraph of your post. Include a Featured Image in your post, but do not use the Excerpt. Place the More Tag at the very top of each post. Include a Featured Image in your post, but do not use the Excerpt. Place the More Tag after the first paragraph of each post. How many blog posts do you want to display on each blog listing page? 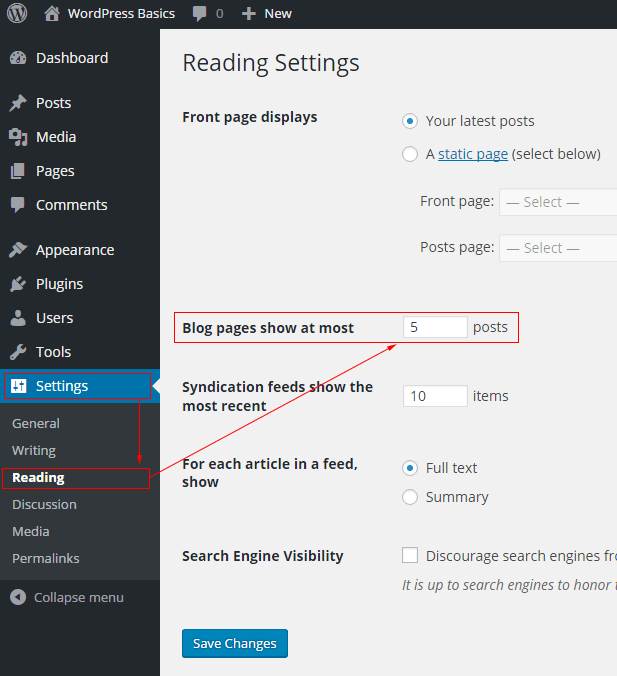 You can choose how many blog posts to list in each blog listing page. For instance, if you choose 5, each blog listing page shows 5 blog posts. When you scroll to the bottom of that blog listing page, you see a link to the next blog listing page showing the next 5 blog posts. Settings > Reading > Blog pages show at most: type a number in the box. Previous Post: « How do I add image galleries, sliders and forms to my site?